Normally, no news is good news, but, in this case, it’s because all deliberations on proposed developments are being conducted behind closed doors, thanks to the Tasmanian Government’s secretive Expressions of Interest (EoI) process – see final paragraph. 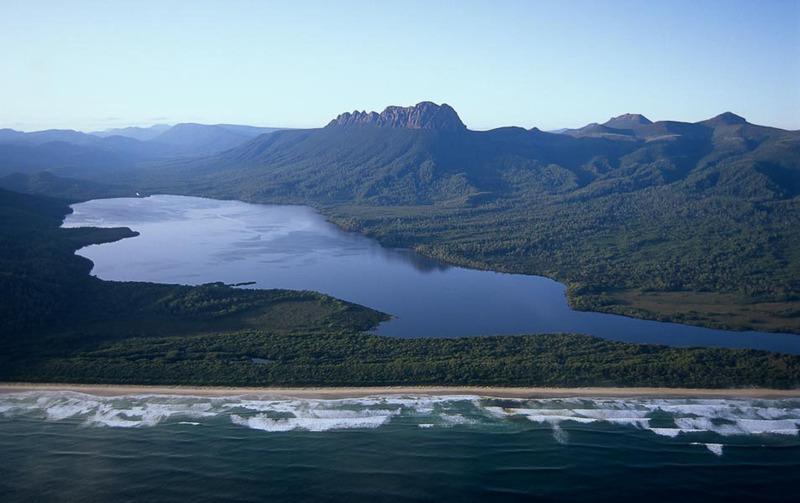 The 1999 Management Plan for the Tasmanian Wilderness World Heritage Area (TWWHA) left no doubt about the importance of wilderness: “The area comprises a large percentage of the remaining extensive, high quality, temperate wilderness in Australia, and is one of only a few such regions in the world. It is this wilderness quality which underpins the TWWHA’s success in meeting the [World Heritage] criteria as a natural property and which is the foundation for the maintenance of the integrity of both the natural and cultural values of the area”. The 1999 plan also contained requirements for the protection of wilderness that proved adequate to prevent major developments during the lifetime of the plan. The 2014 draft management plan omitted any mention of wilderness. This was greeted with public outrage which resulted in the 2016 [final] management plan containing some encouraging statements about wilderness values. However (and more importantly), the plan contains no requirement to consider the impact of new developments on wilderness quality, although it does continue the 1999 plan’s ban on new visitor accommodation in the wilderness zone. • Lake Rodway Commercial Hut (adjacent to Cradle Mountain) – the Tasmanian Walking Company which operates the commercial huts on the Overland Track proposes a new hut at Lake Rodway so that it can offer a shorter alternative (one or two nights) to the full Overland Track experience. There is little doubt that this proposal is commercially viable and will proceed, putting additional pressure on an already heavily used area. • Cradle Canyons – a proposal for heli-canyoning commencing on a tributary of the Hartnett River adjacent to Waterfall Valley on the Overland Track. The helicopter flights would be a major intrusion into the wilderness experience of walkers on the northern part of the Overland Track. • Lake Malbena (south-eastern Central Plateau) – a proposal to refurbish an old privately owned hut on Halls Island for use as a small, exclusive lodge for fly fishermen. Access to be by seaplane from Lake St Clair, which will affect visitors at Lake St Clair and any wilderness users under the flight path. The other EoI proposal of great concern for its impact on wilderness is the proposal for commercial huts on the South Coast Track. This was not sufficiently well developed for any provision to be made in the zoning in the 2016 management plan (it is likely that some so the huts would need to be located beyond the narrow recreation zone around the track). The South Coast Track is substantially longer and harder than any existing hut-based commercial walking operation in Tasmania so demand for such a walk is unlikely to be great, and the track itself would require expensive upgrades (e.g. bridges over several major river crossings) to make it suitable for commercial walking operations. The sensible outcome would be to abandon the proposal but the biggest risk is that it morphs into something with even greater impacts, such as a wilderness lodge at New River Lagoon (with aerial access), with clients walking out over the easier half of the track to Cockle Creek. Another alarming proposal is the Geeves Effect (www.geeveseffect.com) a proposal to construct several kilometres of new track to a commercial hut at Lake Geeves, below Federation Peak. A proposal with greater impact on Australia’s most iconic wilderness destination would be hard to imagine! This proposal is not the subject of an EoI (the reason for this is not clear) and is not provided for in the 2016 management plan (zoning change required for new track and hut), but it has received $70,000 from the Federal Government for a feasibility study. The full list of proposals submitted under the Tasmanian Government’s EoI process is available at the Tasmania – Gateway of Opportunities website. The EoI process provides no opportunity for public comment unless a management plan change is required. It is also notable for the extremely limited information provided about each proposal (see website above – a development application to extend your house would require more information). It is also possible for proposals to evolve into something substantially different during the “assessment”. For example, the Project Point Adventure started off as a proposal to helicopter walkers into the remote Gallagher Plateau (south-east of Mount Anne – within the Wilderness zone) followed by a walk down to the Huon River and raft out. In the final (approved) proposal, the landing site has changed to forestry land on the periphery of the TWWHA. An improvement! But this may not always be the case.